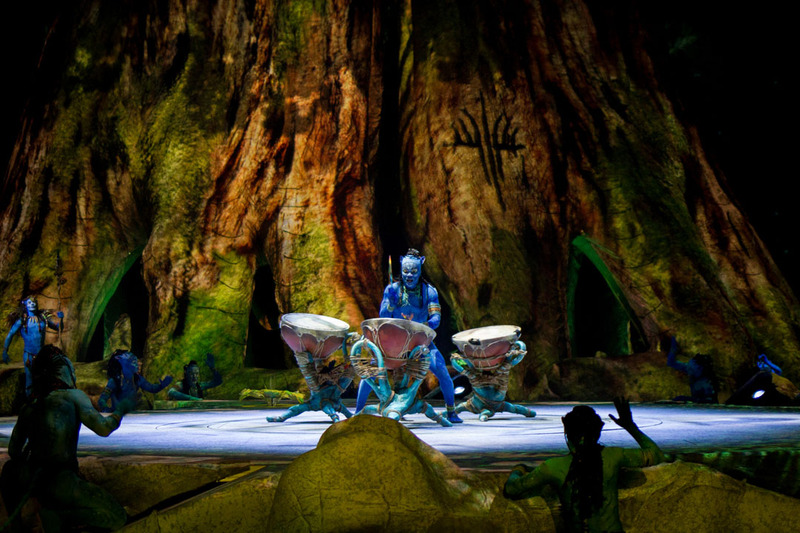 It has been seven years since Avatar hit movie screens and became the highest-grossing movie of all time. Seven years is forever in Hollywood, where tentpole sequels generally take 2-3 years to produce. 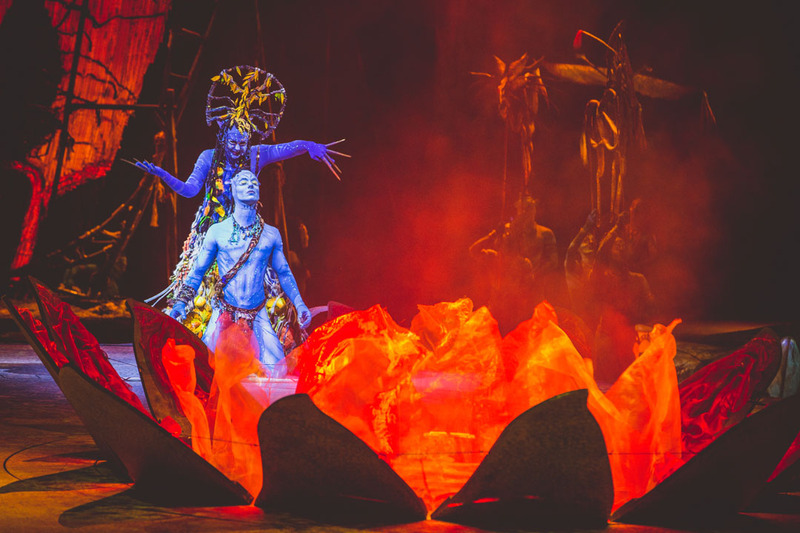 Yet, the next Avatar sequel isn’t even scheduled for two MORE years, making a total of nine years-almost a decade-to make a follow-up to the biggest movie ever. 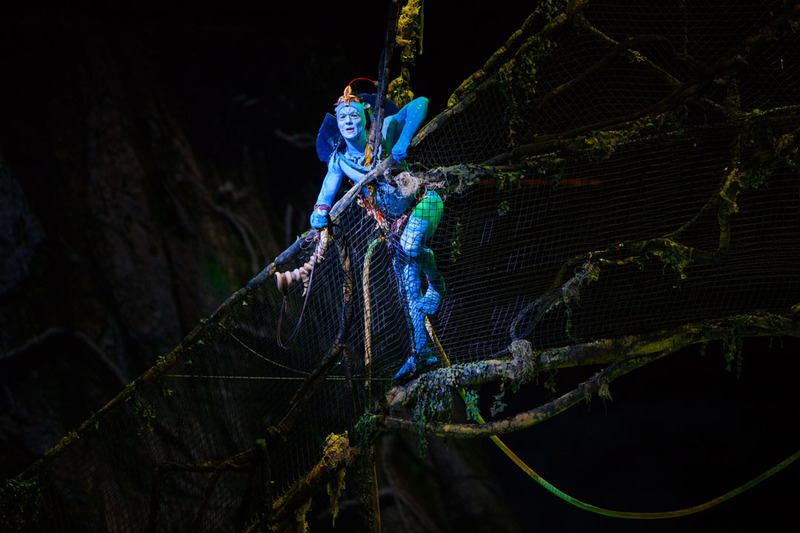 Will people even remember Pandora, and want to go back, after such a long wait? Well, good news for fans–you don’t have to wait quite that long. 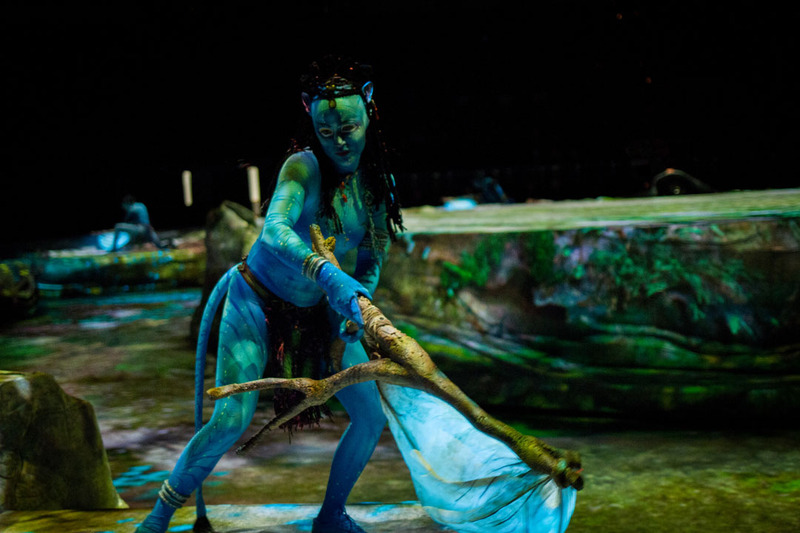 Avatar has returned, in the form of a touring arena show from Cirque du Soleil called Toruk – The First Flight. 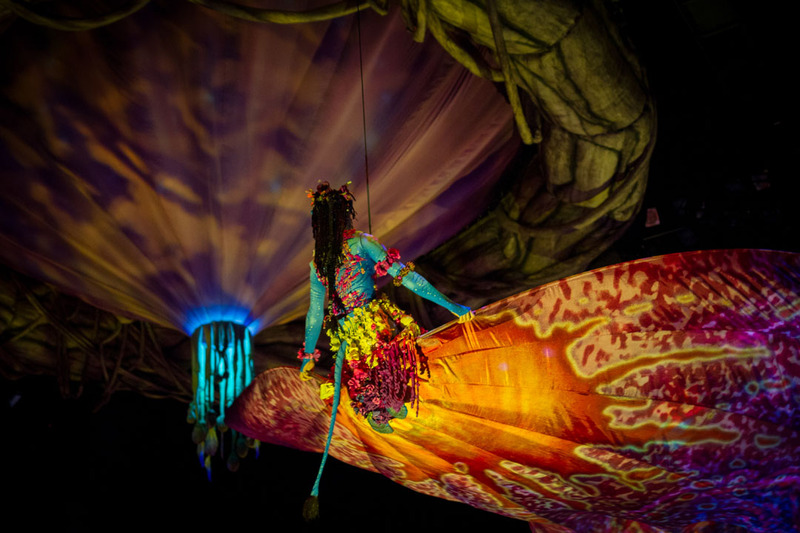 This “live immersive multimedia spectacle” uses so many creative ways to put on a show, it’s a little overwhelming. 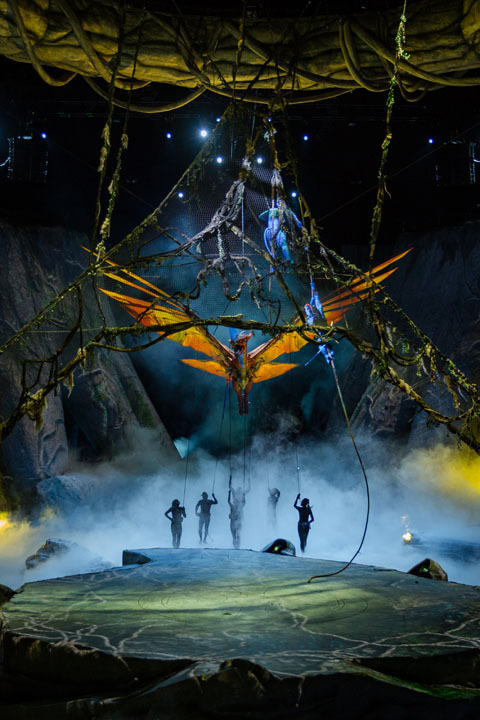 Costumes, makeup, hair, music, song, dance, acrobatics, story, scenery, props, stunts, lighting, projectors, puppets, kites…and I’m probably missing some. 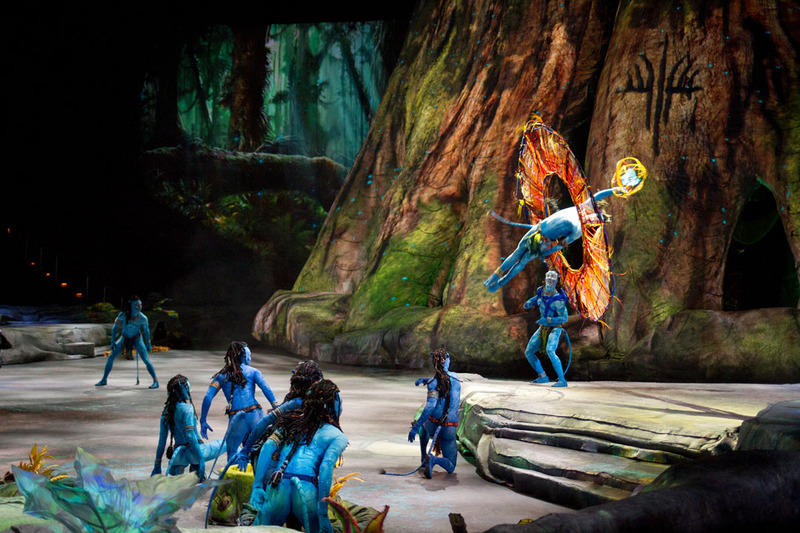 Cirque du Soleil partnered with James Cameron’s creative team in the development of this show, to the point that it can be considered “in canon” to the Avatar story. 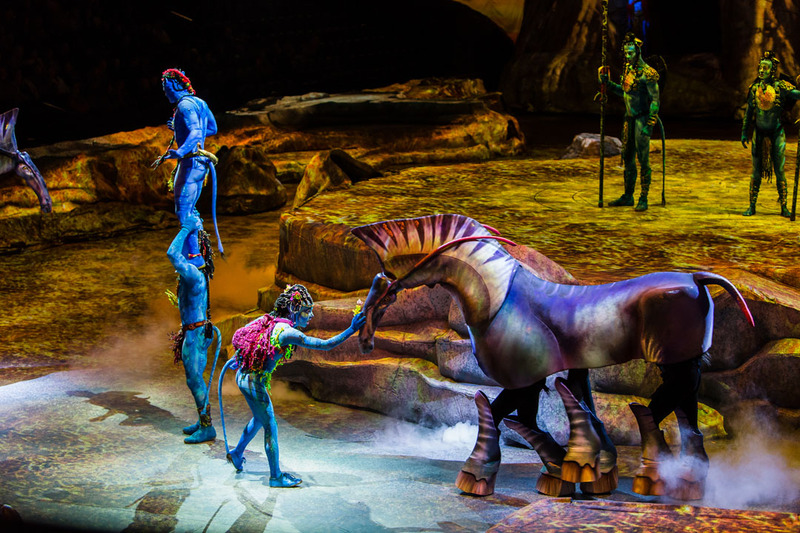 Although this particular story takes place 3000 years before the events of the movie, and details the first time a Na’vi rode upon the huge, winged Toruk–hence the name of the show. 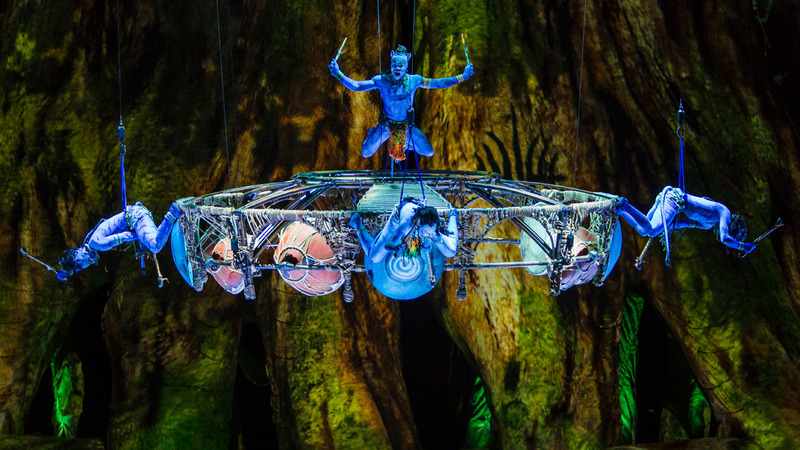 This is a Cirque du Soleil show. 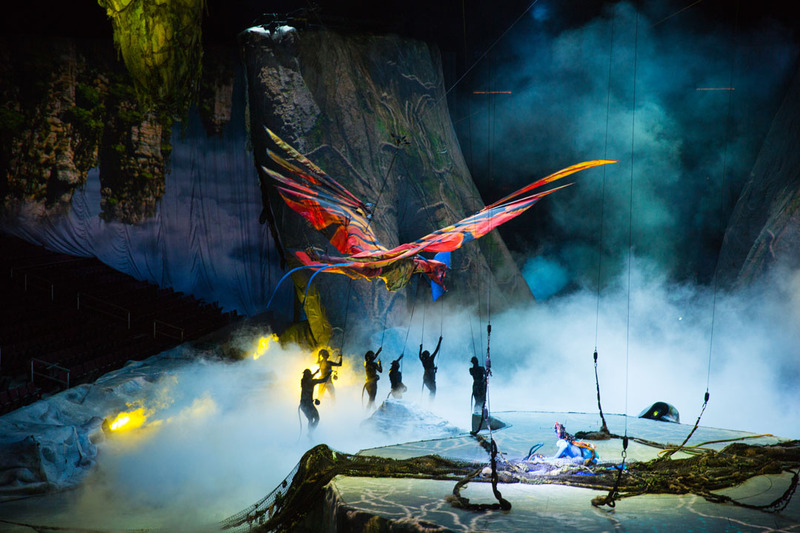 The other appeal of Toruk is the world-renowned artistry and movement of Cirque du Soleil. 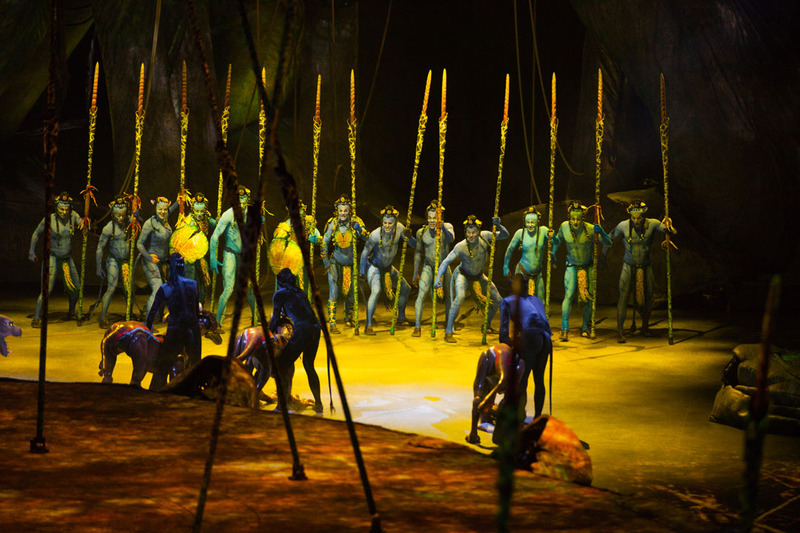 And I believe the Cirque aspect is the one upon which to judge your own personal interest in seeing this. 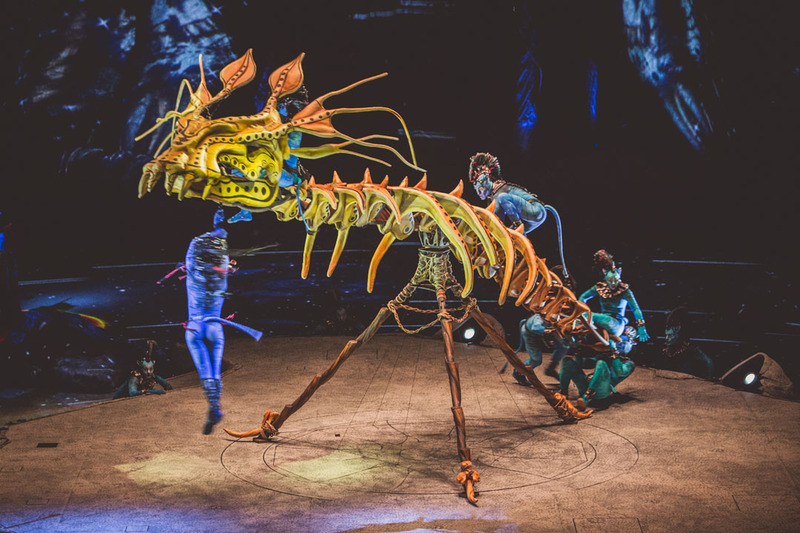 Last December I was able to see Cirque’s touring show of Kurios, inside a tent, just like the old-fashioned circus (review here). 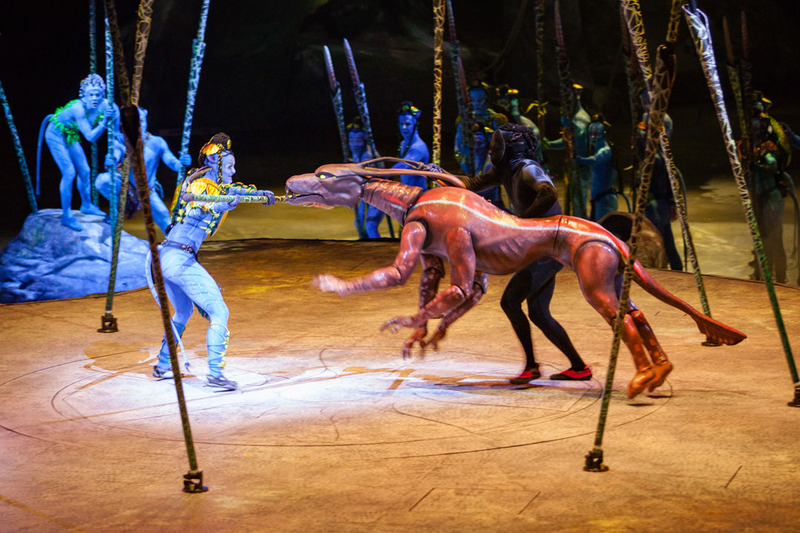 Toruk is a different kind of show. 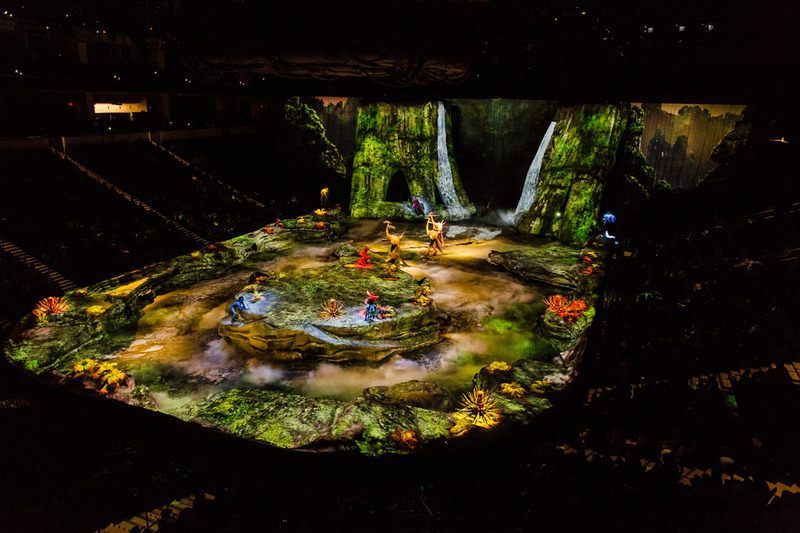 For one thing, the stage is much bigger; it fills almost the entire floor of the arena. For another thing, the focus is different. 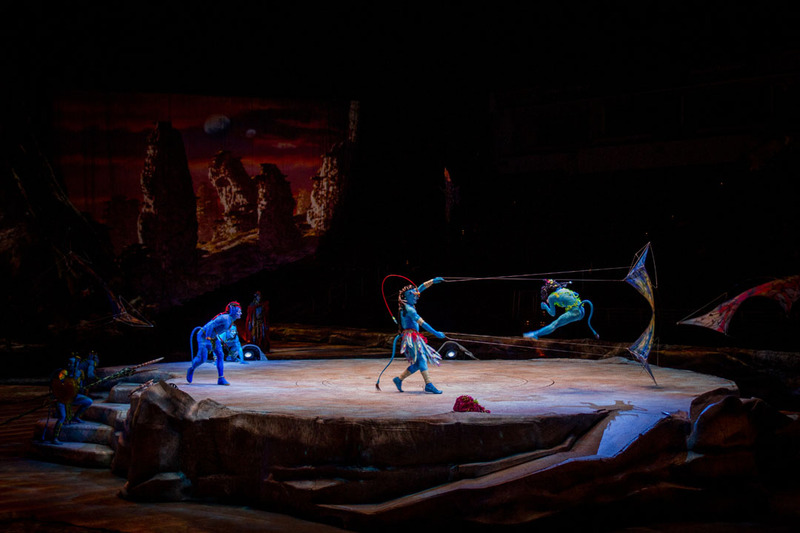 Kurios had one main act at a time, so it was easy to know what to look at. 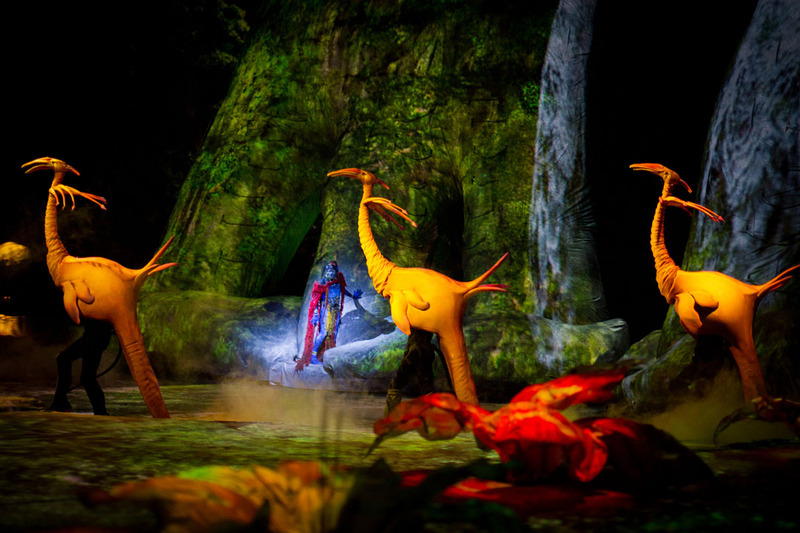 Toruk has so much more space to fill that sometimes your eyes get lost looking around, trying to decide what is most interesting. 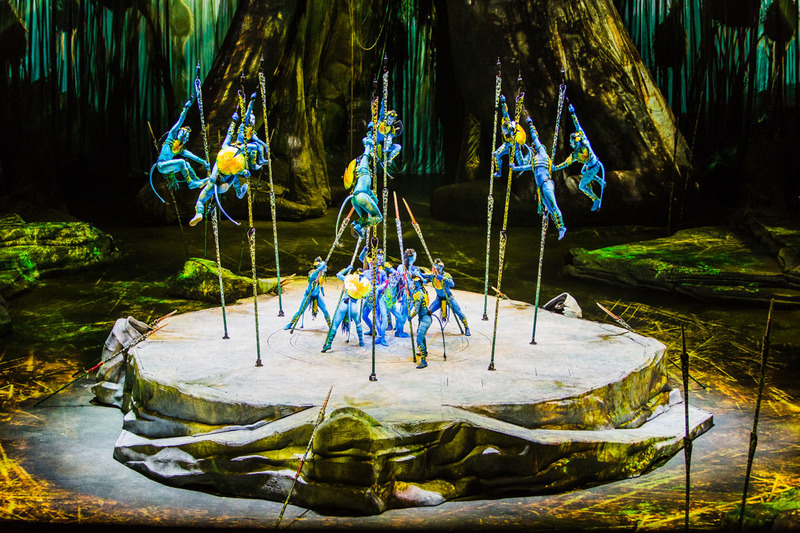 Sometimes there is a main performance in the center, but often there is no main act, and there are myriad small displays of dance and acrobatics going on all over. This can be fun or frustrating, depending on your tolerance for (figurative) chaos. My friend said it was too much going on for her, but I didn’t mind. 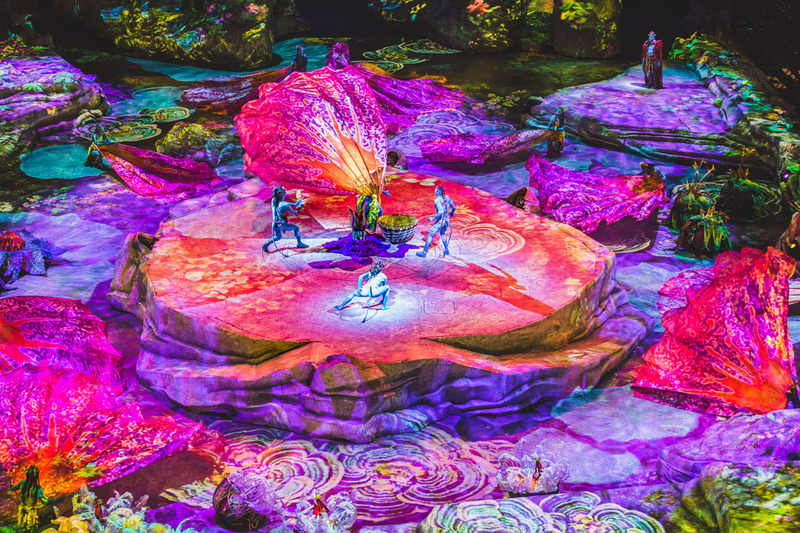 If I got tired of watching a particular segment, I could let my eyes wander around the arena for something new. They never had to look for long! 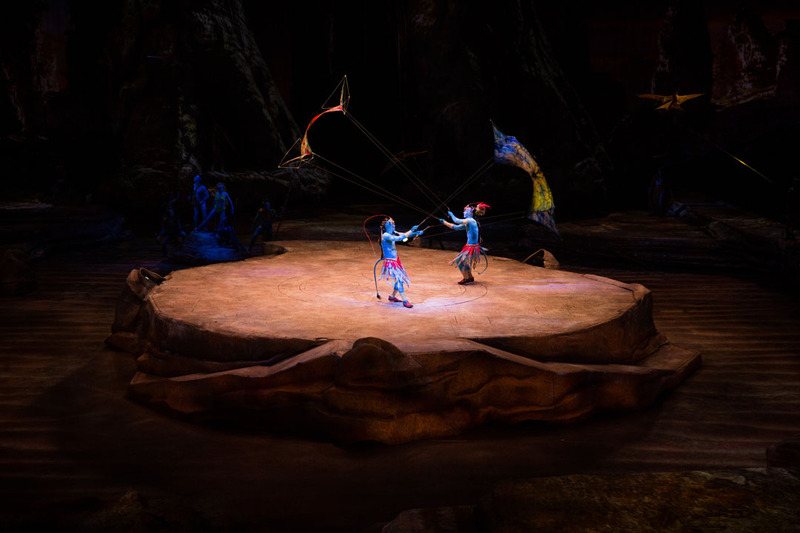 It’s important to remember that this is a traveling show, so even though the amount of physical space is very large, everything inside that space has to be portable AND able to fit the existing infrastructure. 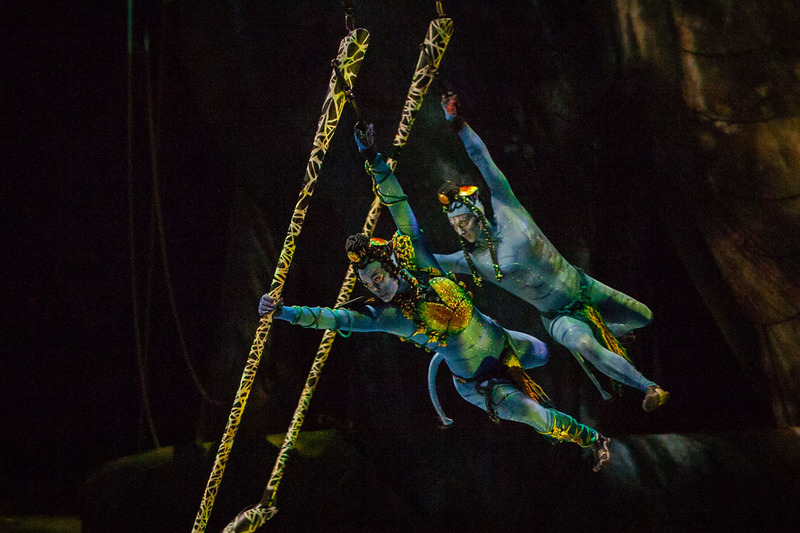 This means the performances may not have the scale of some more permanent Cirque shows. 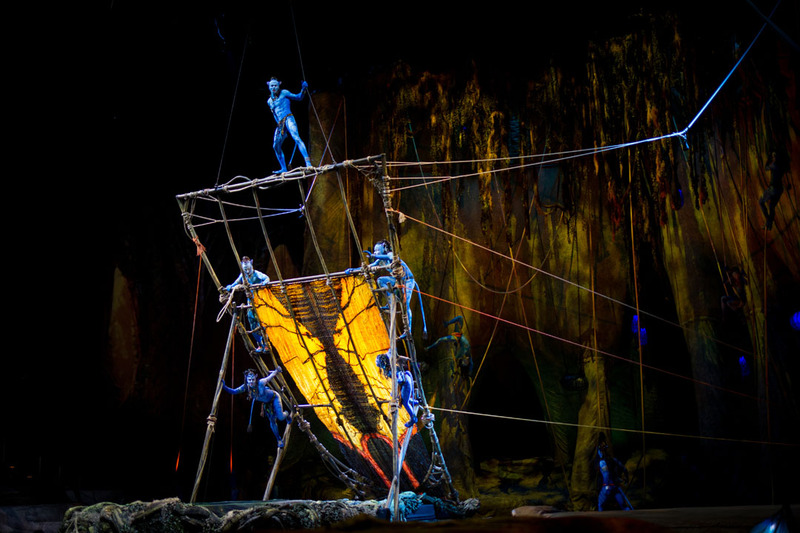 There are no trampolines, and no trapezes. 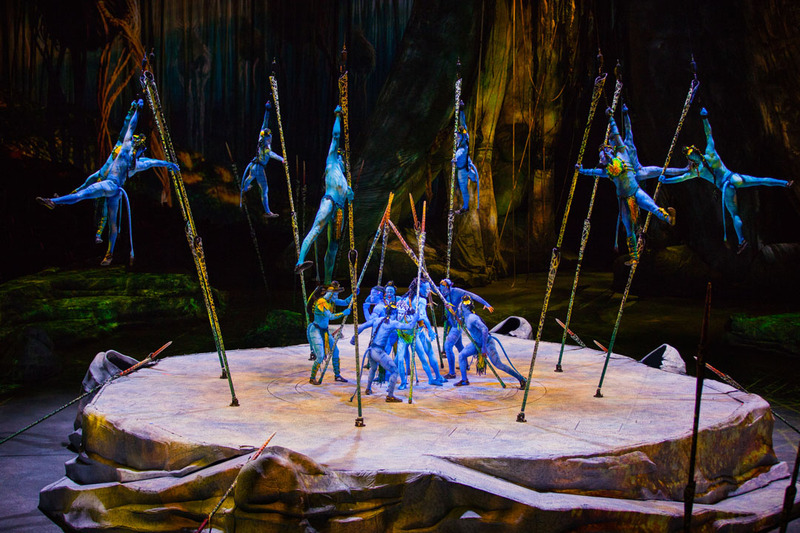 Without the big apparatuses, the acrobats have to, in essence, do more with less. 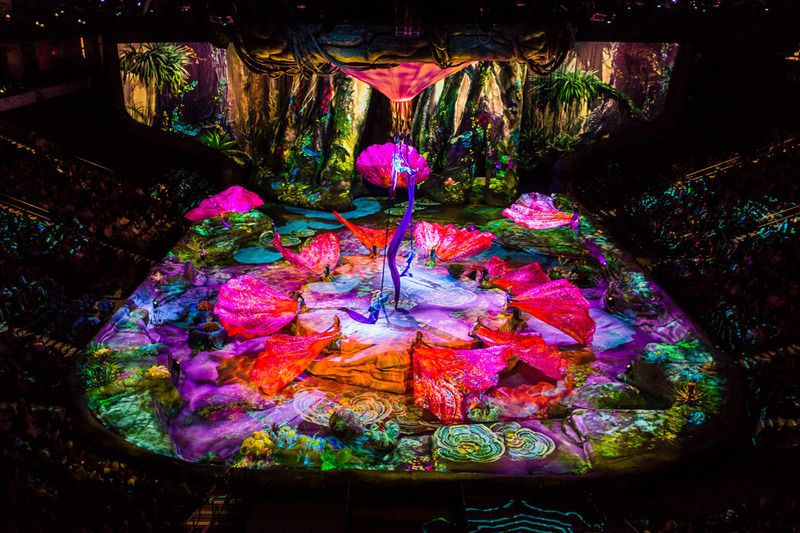 And this is where the visual flair of Avatar fills in the gaps. 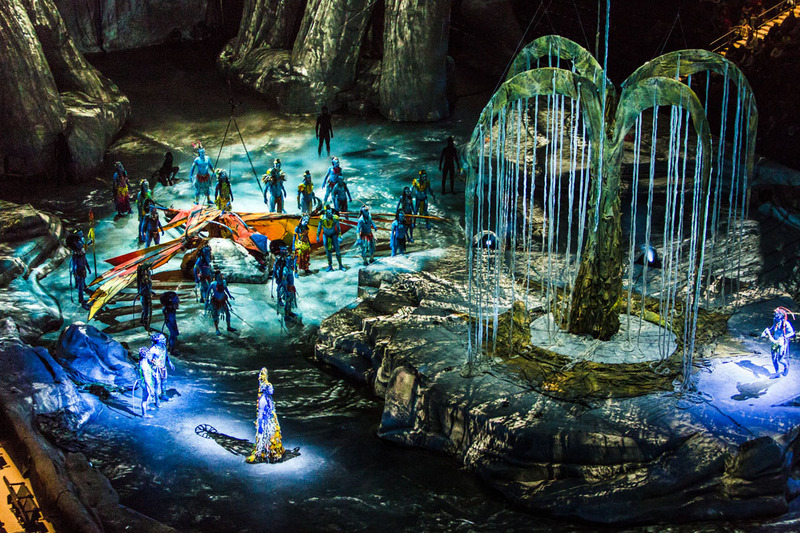 That’s what you get instead of the big physical sets of a Cirque show that you may have seen in Vegas. It’s a trade-off. Is it worth it? For the right audience, absolutely. My friend asked me after the show what the right audience is. I think there are several. 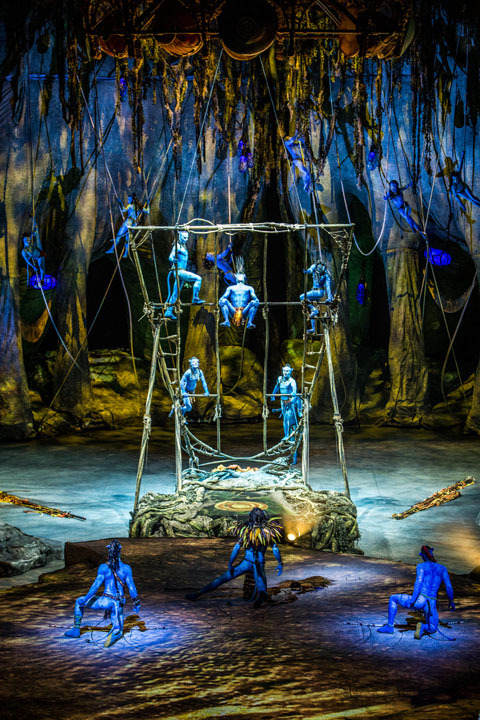 These people would all enjoy the show: Avatar fans, people who have never seen a Cirque show before, people who appreciate technical craftsmanship and artistry, people who like visual feasts for the eyes, and people who aren’t too cynical. This last one is crucial. 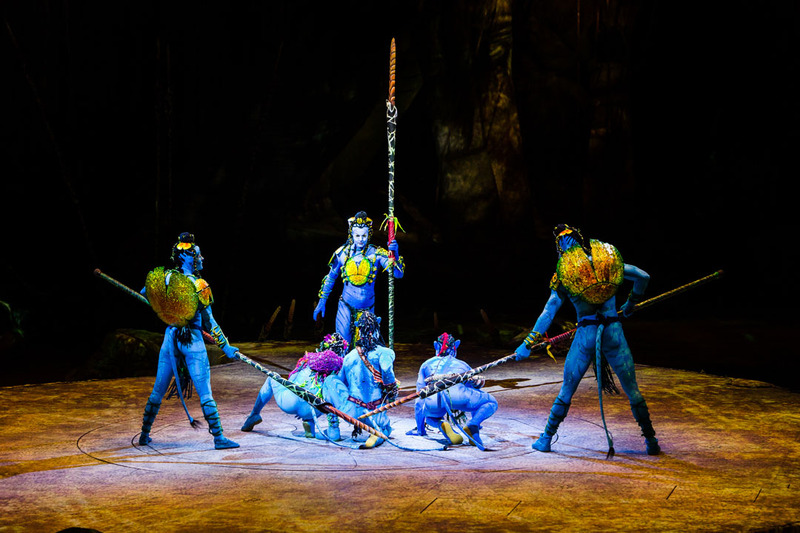 If you go in expecting a great new story, or the best Cirque show ever, you will be disappointed. 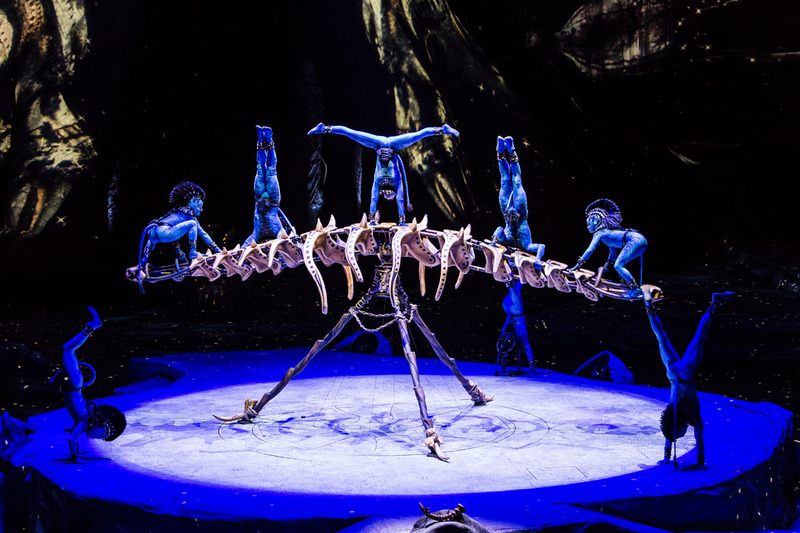 It’s not the best example of Cirque, OR of the Pandoran world. But it is the only way to see both of them together, and for me, that combination is very appealing. If you’re only interested in one side or the other, you might want to find out a little more before deciding. Either way, shows are limited, so decide soon! 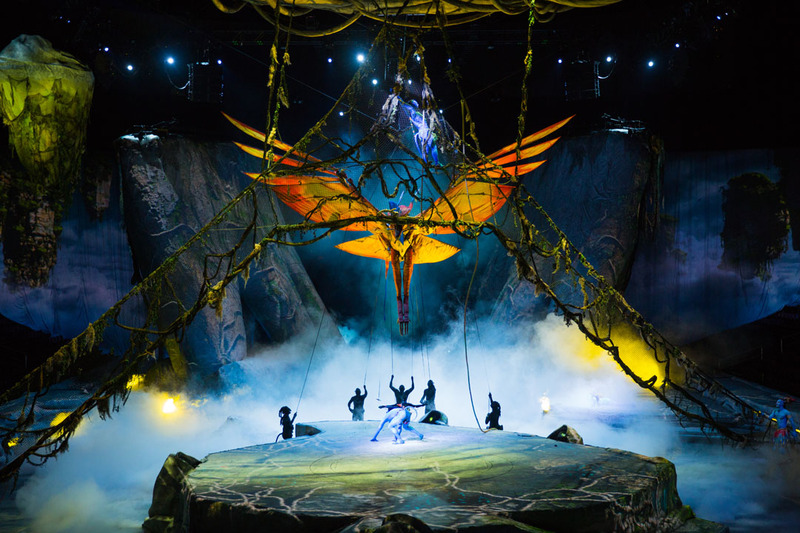 Toruk is playing at Citizens Business Bank Arena in Ontario from November 2-6, then Staples Center in Los Angeles from November 11-13, Valley View Casino Center in San Diego from November 23-27, then returns to the Forum in Inglewood from January 12-15, 2017. 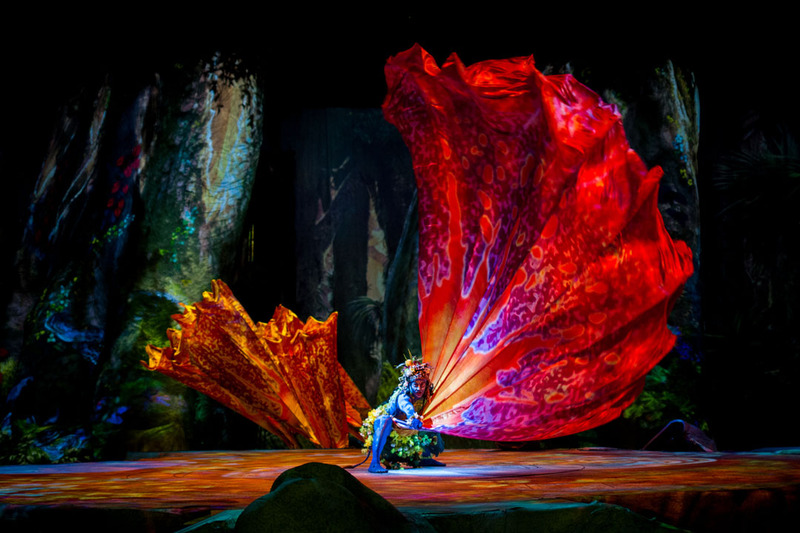 Tickets are as low as $30 and can be bought at their ticketing site.